The home team Royals, who boast of star players such as Steve Smith and Ben Stokes, have failed to live up to the expectations in the 12th edition of cash-rich T20 league. Rajasthan Royals and Royal Challengers Bengaluru, the only two teams yet to win a game in the ongoing edition of IPL, will be desperate to outdo each other in a clash of strugglers at the Sawai Man Singh Stadium in Jaipur on Tuesday. Both teams have been more than disappointing thus far in the IPL and need a win to revive their respective campaigns. Royals have failed to tighten the screws when it mattered most. In all three matches, they were in a good position but could not grab the moments, losing to Kings XI Punjab, Sunrisers Hyderabad, and Chennai Super Kings respectively. In Chennai on Sunday, Royals had CSK reeling at 27 for three before skipper MS Dhoni smashed an unbeaten 75 off 46 balls to bail the hosts out of trouble and eventually win the game by eight runs. “We win as a team and we lose as a team. If we win the smaller moments in T20s we will do well. We have played well in the last three games and hopefully, with some luck, we’ll be able to turn it around,” said Royals skipper Ajinkya Rahane after the loss against CSK. Royals, who boast of star players such as Steve Smith and Ben Stokes, have failed to live up to the expectations. In the first match against Kings XI Punjab, Royals’ bowlers allowed the visitors to some vital runs in death overs and later the batsmen disappointed after being put on victory course by Rahane and Jos Buttler. The same story has as batting and bowling units have failed to perform in tandem. The likes of Sanju Samson, who had hit the first ton of this IPL, Buttler and Rahane have been good. Rahul Tripathi also looked impressive during his 39 against CSK but Smith and Stokes are yet to set the tournament on fire. The hosts face an equally hungry outfit in RCB, who too are looking to redeem themselves. Their skipper Virat Kohli had conceded that the defeat against Sunrisers Hyderabad on Sunday afternoon was “one of their worst losses”. “We just need our players to put up a better challenge up front. There are still 11 games to go. The pitch will be nice in Jaipur against the Royals. We need to bring our A-game, like we did against Mumbai and play with that kind of intensity,” said Kohli after RCB’s third loss in a row. 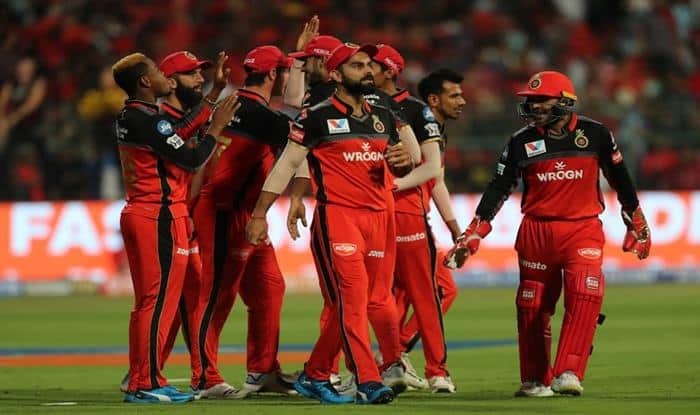 The visitors certainly have the resources in their ranks to beat Royals.RCB have a destructive batting order comprising Kohli, AB de Villiers, Parthiv Patel, Moeen Ali and Shimron Hetmyer, yet their batting failed miserably in two out of the three games. Both teams will also have to deal with the soaring heat in the Pink City with temperatures nearing 40 degrees Celsius. Royal Challengers Bengaluru: Virat Kohli (C), Parthiv Patel, Moeen Ali, AB de Villiers, Shimron Hetmyer, Shivam Dube, Colin de Grandhomme, Umesh Yadav, Yuzvendra Chahal, Mohammed Siraj, Navdeep Saini, Devdutt Padikkal, Himmat Singh, Milind Kumar, Gurkeerat Singh Mann, Heinrich Klaasen, Pawan Negi, Washington Sundar, Akshdeep Nath, Prayas Barman, Kulwant Khejroliya, Tim Southee. Match Starts at 8 pm IST!